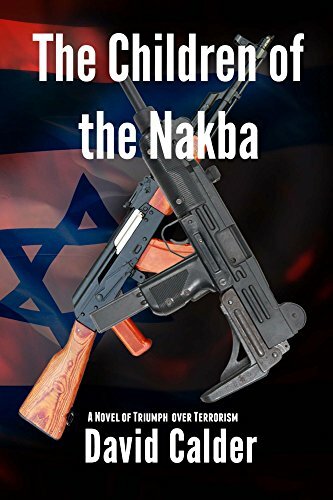 The Children of the Nakba is an engrossing account of a terrorist act in the 1970s that is still relevant to events happening today throughout the world. Abu Jihad, head of the Palestinian terrorist organization Fatah, and chief instigator of the Civil War raging in Lebanon, has serious problems. He's on the brink of exposure in an affair with one of his female Lieutenants-a mistake sure to outrage the conservative Middle East leaders backing him. He's terrified it will also set off a blood-feud with his wife's violent relatives. He schemes up the perfect solution. He'll show everyone there can be no peace in the Middle East without a homeland for the Palestinians. And be rid of his troublesome lover at the same time. He recruits a band of killers from the Lebanese War, and launches them on an amphibious suicide Jihad attack on Tel Aviv to sabotage the peace process. Israeli Security forces are caught flat-footed. If falls to a makeshift force; of police SWAT team members, poorly armed traffic-policemen and off-duty soldiers, to defend the nation. Can these heroes, fighting a running battle nearly the length of the country, prevent the terrorists from reaching their helpless target and wreaking unimaginable havoc?